Are you considering abandoning printed press in favor of digital news within the next three years? This statistic displays results of a survey conducted among online press readers in France at the beginning of 2015. 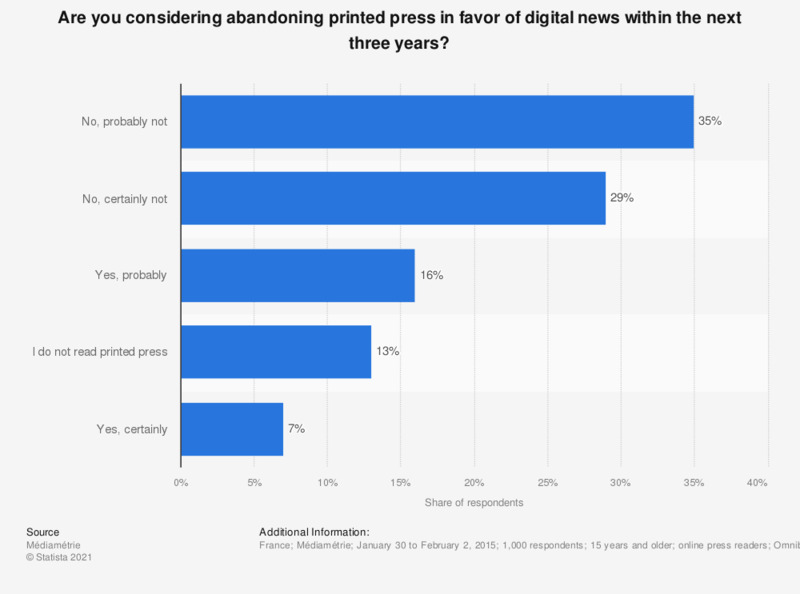 It shows that a significant proportion of respondents were not ready to give up printed press within the next three years and read digital press only. However, thirteen percent of respondents stated that they did not read printed press. Which, if any, of the following have you used to access news in the last week? How much do you trust news in online newspapers?